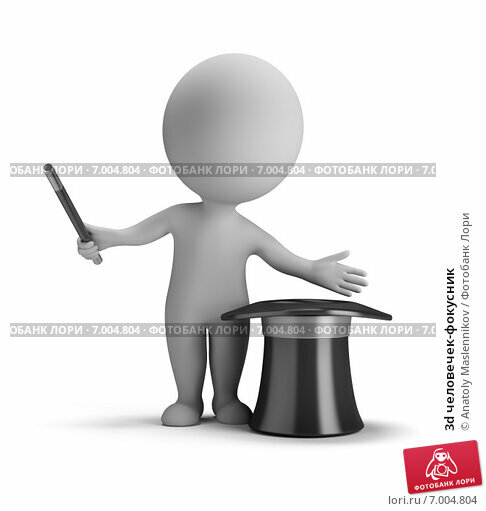 3d small person illusionist make tricks with magic hat . 3d image. Isolated white background.